Entertainer Bill Cosby and Harvard Medical School Psychiatry Professor Dr. Alvin Poussaint tackle the controversial and complicated issues facing black communities across the nation and discuss their new book, "Come On, People: On the Path from Victims to Victors. WHAT’ S GOING ON WITH BLACK PEOPLE? For the last generation or two, as our communities dissolved and our parenting skills broke down, no one has suffered more than our young black people. Your authors have been around long enough, and traveled widely enough, to think we understand something about the problem. And we’re hopeful enough—or desperate enough—to think that with all of us working together we might find our way to a solution. Let’s start with one very basic fact. Back in 1950, before Brown v. Board of Education, before the Civil Rights Act and the Voting Rights Act, when Rosa Parks was still sitting in the back of her Montgomery bus, when the NBA was just about all white, back in those troubled times, black boys were born into a different world than they are today. Obviously, many civil rights leaders had hoped that with the demise in the 1960s of officially sanctioned forms of segregation and discrimination, black males would have greater access to the mainstream of American society. They had fully expected that these young men would be in a better position in every way—financially, psychologically, legally—to sustain viable marriages and families. Instead, the overall situation has continued to go downhill among the poor who are mostly shut out from the mainstream of success. There is one statistic that captures the bleakness. In 1950, five out of every six black children were born into a two-parent home. Today, that number is less than two out of six. In poor communities, that number is lower still. There are whole blocks with scarcely a married couple, whole blocks without responsible males to watch out for wayward boys, whole neighborhoods in which little girls and boys come of age without seeing up close a committed partnership and perhaps never having attended a wedding. I am unfortunately renting a cheap room in a slumlord house until my new place is ready. Every spare space is being rented out so the "living room" is turly a space for this older gentleman, Julius. He's a cool guy, if you don't mind being blasted awake at 4:30 every weekday and 6 a.m. every weekend due to his lack of hearing and his need to hear the news repeated several times until his Wall Street Journal arrives. As a teacher, I operate on minimal sleep, but this has been a form of psychcological warfare. However, a believer of serendipity and in things operating on more otherworldly, metaphysical levels--far beyond the greatest of us mere mortals, I heard about Cornel West & BMWMB's CD early this past Saturday when I would have been dead to the world. I immediately rolled over and jotted down Never Forget and bought the CD later that afternoon; a gift to me and those I teach. I have been trying to find an angle for a club to engage our young scholars at Manhattan Hunter Science High School for a few weeks, Internet safety, Environmental or Political Awareness to Journalism. However, after listening to your Spoken Word album "Still Here", "The N-Word", "911", my men, Prince and Andre 3000 on their "Dear Mr. Man," and Chronomentrophobia" to mention a few, I came up with "The Cultural Revolution Club: Analyzing Hip-Hop Culutre, Past and Present". I printed up your interview on MP3's website, happend to see Dr. Alvin Poussaint and Bill Cosby on Russett's Meet the Press yesterday with their new book Come On People and want to expose my scholars to clean (and not-so-clean)and socially important texts from all those mentioned in that article along with Immortal Technique, Aesop Rock, Silvio Rodriguez' "Mi Unicornio Azul", Ozomatli, Cafe Tacuba, protest, folk, country and dozens more to move this generation from complacency to activism as Drs. 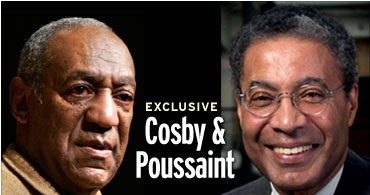 Poussaint and Cosby and your album's first cut "Bushonomics" advocates. I plan to include CRASH, BABLE(have never viewed this latter one, but I've heard it's similar to CRASH) and other resources that we can use as jumping off points for greater analysis of the problems, the accomplishments and the paths to peaceful solutions for a better tomorrow. Thank you Drs. West, Poussaint and Cosby! !